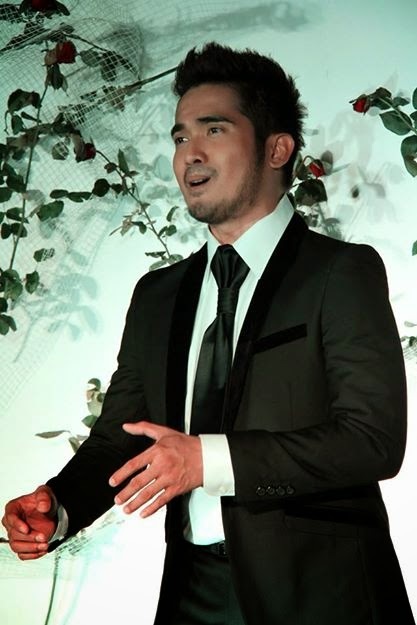 AL GATMAITAN, one of the country’s topnotch tenors will take his summer studies at the New York University Steinhardt School for Music and Performing Arts Professions this coming June. But before he takes a bite of the Big Apple, catch AL GATMAITAN: IN PURSUIT OF A DREAM – a special fund raising concert presented by The Philippine Opera Company and Grupo Reposo, in collaboration with LRI Design Plaza. With Karl Estudillo, collaborative pianist, directed by Will Fredo. 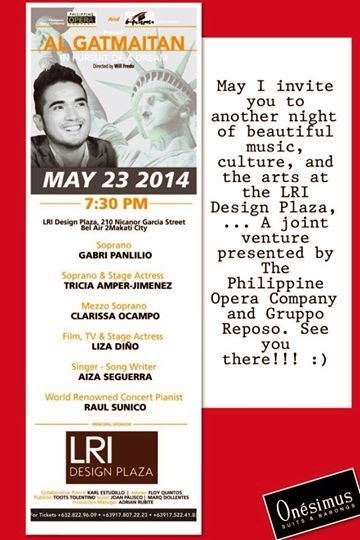 The concert is on May 23, 2014 (7:30 p.m.), at LRI Design Plaza located at 210 Nicanor Garcia St., Brgy. Bel Air II, Makati. Special guest artists include: Soprano Gabri Panlilio, Mezzo Soprano Clarissa Ocampo, Soprano and stage actress Tricia Amper-Jimenez, Film, Tv and stage actress Liza Dino, Singer and songwriter Aiza Seguerra, and World renowned concert pianist Raul Sunico. Ticket price is Php 1,000.00.